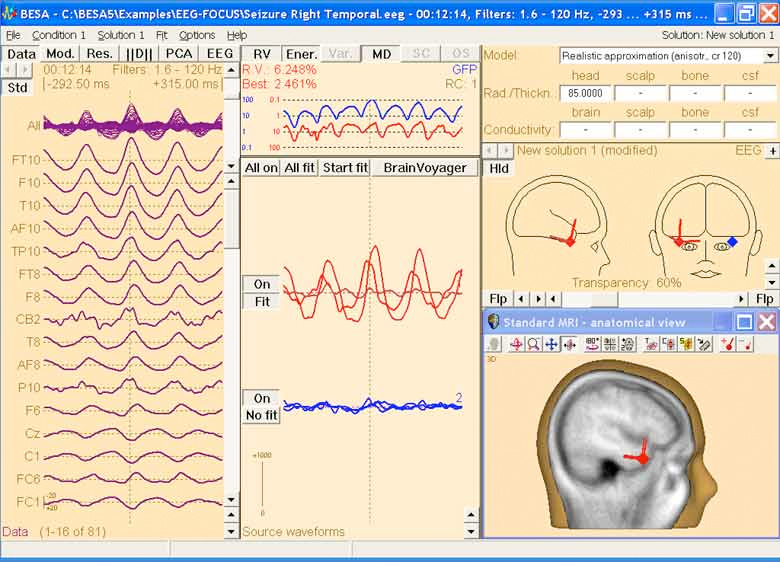 BESA is the most widely used software for source analysis and dipole localization in EEG and MEG research. BESA Research has been developed on the basis of 30 years experience in human brain research by the team around Michael Scherg, University of Heidelberg, and Patrick Berg, University of Konstanz. BESA Research is a highly versatile and user-friendly Windows® program with optimized tools and scripts to preprocess raw or averaged data for source analysis and connectivity analysis. All important aspects of source analysis are displayed in one window for immediate selection of a wide range of tools. The same holds true for the source coherence / time-frequency module, and other analysis windows. 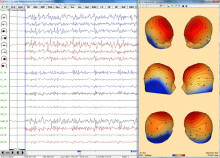 BESA Research provides fast and easy hypothesis testing, a variety of source analysis algorithms including cortical imaging and volume imaging methods, integration with MRI and fMRI, age-appropriate template head models (FEM) as well as the possibility to import individual head models (FEM) generated by BESA MRI 2.0. New features in BESA Research 7.0 are described here. BESA Research transforms surface signals into brain activity using source montages derived from multiple source models. 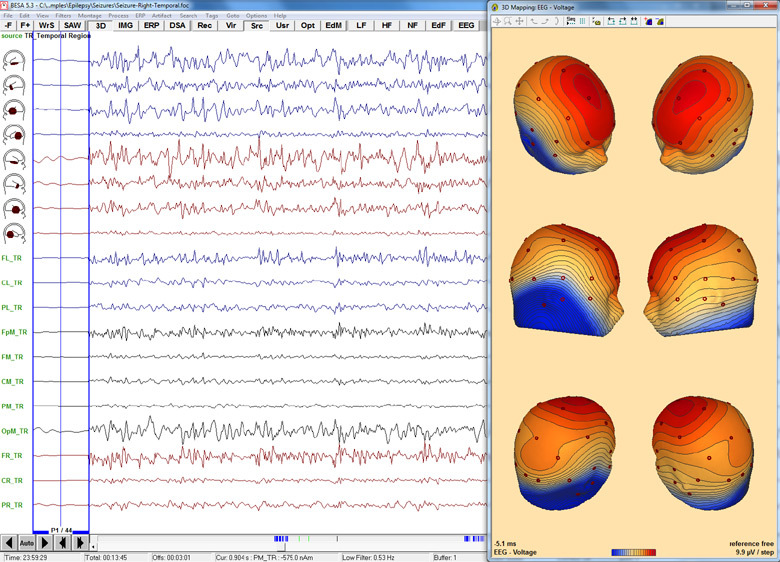 This allows displaying ongoing EEG/MEG, single epochs, and averages with much higher spatial resolution. The Source Coherence Module provides an extremely fast and user-friendly implementation of time-frequency analysis based on complex demodulation. Users can create event-related time-frequency displays of power, amplitude, or event-related (de)synchronization and coherence for the current montage using brain sources or surface channels. Induced and evoked activities can be separated. 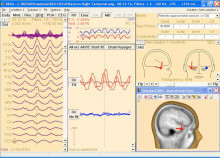 Source coherence analysis reveals the functional connectivity between brain regions by reducing the volume conduction effects seen in surface coherence. Users can select a time-frequency window for (bilateral) beamformer and dynamic imaging of coherent sources (Gross et al., PNAS 2001).